Book Description: One choice can transform you—or it can destroy you. But every choice has consequences, and as unrest surges in the factions all around her, Tris Prior must continue trying to save those she loves—and herself—while grappling with haunting questions of grief and forgiveness, identity and loyalty, politics and love. My thoughts: The first battle has been waged in Divergent, but the war is just beginning. The Dauntless faction has been split, the leaders from Abnegation murdered, confidences betrayed, and loved one lost. Secrets that destroy a nation are slowly revealed. The struggle to determine the truth continues in this book. Triss is on the go from the first to the last page. Her divergence doesn't let her fall into the patterns presented to her, she is driven to get to the bottom of the conflict and end it once and for all. This book takes a closer look at the faction lifestyle presented in this dystopian world. It sifts through the people, do they choose faction over truth? Do they choose family over faction? The pros and cons are uncovered and loyalty lines are drawn. I enjoyed the emotional battle in this book. Triss at age 16, is placed in a position that is not enviable. She has to sift between the truth and lies. She has to discover what it means to trust and to love. She has to learn to forgive and to forgive herself. The romance is tumultuous in this book. Triss and Tobias have many trust issues. Learning to let go of preconceived notions is hard for them, but it is what is needed for their difficult life. This is another book that I read quickly. I was caught up in the dystopian world and I'm looking forward to reading. Allegiant. This book contains violence and kissing. Book Description: In Beatrice Prior's dystopian Chicago world, society is divided into five factions, each dedicated to the cultivation of a particular virtue--Candor (the honest), Abnegation (the selfless), Dauntless (the brave), Amity (the peaceful), and Erudite (the intelligent). On an appointed day of every year, all sixteen-year-olds must select the faction to which they will devote the rest of their lives. For Beatrice, the decision is between staying with her family and being who she really is--she can't have both. So she makes a choice that surprises everyone, including herself. My thoughts: As I am writing this review, I have to ask myself "What took me so long to read this book!?" It has been sitting on my shelf since it was published. Many friends have borrowed it, but I hadn't read it yet. I have to say that this book pulled me right in and it took less than a day to read. I was astounded at the many obstacles that Triss had to go through. Her determination and courage was tested in every way, but she endured and came out ahead of the game. Some of the characters were so evil that I was ready to take them on myself (in a reader sort of way). I really enjoy the dystopian genre, and this book did not disappoint me in any way. It contains violence, innuendo, and kissing. Book Description: Lyric Bolton doesn't ask for much--just friendship and acceptance from her rural Missouri community. But her family is regarded with suspicion and fear because of her mother's sickness--a sickness of the mind that grows worse by the day. Lyric is resigned to a life of isolation and doesn't see any way out...but that's before Ian Cawley bolts into her life on a runaway stallion. As she opens her heart to Ian, Lyric dares to imagine a different life. But what will happen when he discovers the secret she holds closest of all? My thoughts: A pesky light plays a prominent role in this historical fiction novel. The light is notorious in the small town that Lyric lies in. Many blame her mentally ill mother for it's presence. The light has a sense of humor and is a fun part of the book. Lyric finds a stranger in her barn. Something big has made a hole in the barn door and the stranger is near death. Lyric knows that he must be an outlaw. He has no memory of his past or how he came to be injured in her barn. This book looks at two strangers who learn to trust each other and their instincts. This book was fun to read. I enjoyed the growing friendship between Lyric and the Stranger (Joseph/Ian). Both jump to many conclusions about each other that are not accurate. They become friends and then realize that their feelings are stronger than friendship. There are too many unanswered questions about their past for either to feel comfortable developing a relationship other than friends. I liked the secondary characters in this book. Lyrics sister, Lark, and her best friend Boots are quite the pair. They get into many scrapes and adventures that keep the story light and fun. Then there is the the character of the light. The light seems to mock it's victims. It keeps the townsfolk on their toes and adds a mysterious dimension to the story. This is a clean story with Christian themes. Book Description: It's customary for Gothic romance novels to include a mysterious girl locked in the attic. Hannah Smith just wishes she wasn't that girl. As a narcoleptic and the companion to an earl's daughter with a strange affliction of her own, Hannah knows she's lucky to have a roof over her head and food in her belly when so many orphans starve on the streets. Yet freedom is something Hannah longs for. She did not, however, want her freedom to arrive in the form of kidnapping. My thoughts: Hannah Smith has spend her life living in an attic with Violet and their governess. Hannah has narcolepsy. Upon awakening she learns that Violet has started a fire with her hands, their life is spent in an attic room, sparsely furnished with woolen clothes and accessories. Life changes when she is kidnapped. She is mistaken for Violet, but doesn't let her captors know she is Hannah. She wants to spare her friend from whatever evil plans they may have. Fortunately, her kidnapper is the handsome gardener she has been eyeing for the past couple of months. I enjoyed this book. It was a Gothic style book. The plot was mysterious with a creepy setting. The mansion she is taken to is often referred to as the "Freak House". It has a history and the characters in this book add to the ambiance of the name and home. The good part of reading a book after it has been out a while, is that books 2 and 3 have already been published! I don't have to wait a long time to continue on with this story. Book Description: Descended from fairies? It sounds unbelievable, but according to Kaitlin's grandmother Viola, it's true. In spite of her initial reluctance to visit Viola, Kaitlin finds herself being drawn into Viola's stories of elegant castles, evil counts, and exciting escapades. But as Kaitlin learns more about her family, Kaitlin's mother becomes increasingly concerned about Viola's mental health. Good thing Kaitlin knows better! From the author of Spare Change, this enchanting tale shows how a good story can bring a whole family together. My thoughts: Katie and her mother visit her grandmother in Arizona. The trip begins weird as they discover that her grandmother loves the heat does NOT have air conditioning. Katie feels as if she is slowly baking. The redeeming factor in the trip is that her grandmother starts sharing stories about their fairy heritage. This book is cute and would be fun for a middle grade reader. For me, it fell flat and I had a hard time keeping my head in the story. The book does not lack imagination. Katie's grandmother, Viola, is an excellent story teller. The stories come at intervals when Katie feels like she is bursting to hear the next installment. The book has fairies and a wicked Count. It has elements that you wold find in a classic fairy tale. The book vacillates between around 1940 and the present. It does have content that may be frightening to some children. Murder, kidnapping, and keeping a child in a cage are some of the scary things in the book. 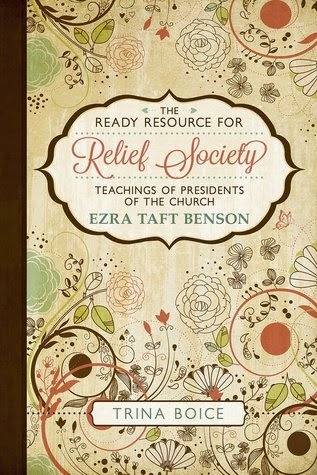 Book Description: Preparing for Relief Society has never been easier with this invaluable book. For each week, you’ll find a lesson summary, quotes from General Authorities, hymns that match the topic, and a beautiful handout you can copy for each sister. With all the prep work done, you can focus on personalizing your lessons to fit the needs of your dear sisters. My thoughts: The first word that came to my mind while I perused this book was convenience. 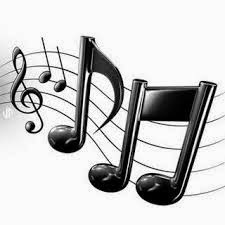 Trina Boice has done her research to provide song ideas, Gospel Art Pictures, LDS video links, quotes, object lessons, challenges, and scripture sources to help teachers and students in their study and presentation of 2015 Relief Society lessons. At the end of each lesson is a quote that is beautifully presented. This can be used as a hand out or as a display. This book can be a great resource for anyone who wishes to enhance their study of the Relief Society lessons. While it is geared to teachers, I can see it helping anyone who wishes more information to ponder on a weekly basis. 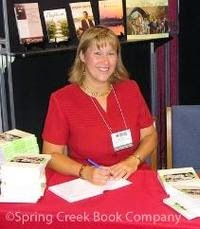 About the Author: Trina Boice grew up in California, but currently lives in Las Vegas, Nevada. She worked as a Legislative Assistant for a Congressman in Washington D.C., and was given the “Points of Light” Award and Presidential Volunteer Service Award for her domestic and international community service. She wrote a column called “The Boice Box” for a newspaper in Georgia, where she lived for 15 years. She taught Spanish at a private high school and ran an appraisal business with her husband for 20 years. She currently writes for several web sites and is the Entertainment News Editor for Bella Online. Trina was selected by KPBS in San Diego to be a political correspondent during the last presidential election. "And the angel said unto them, Fear not... I bring you tidings of great joy, which shall be to all the people. 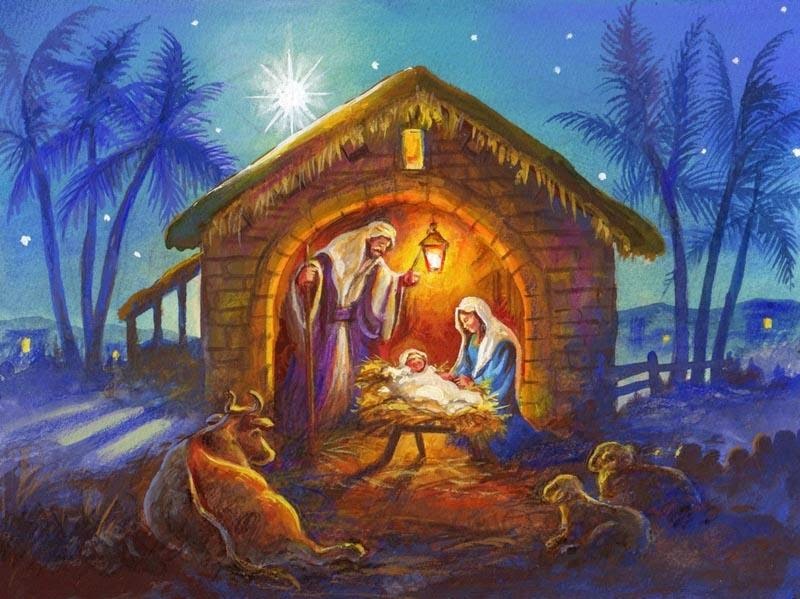 "For unto you is born this day in the city of David a Saviour, which is Christ the Lord"
Book Description: Noelle Jensen doesn’t want to like Pierce Logan. After her boyfriend breaks up with her for her sister, Noelle is done with love. Plus Pierce Logan has commitment issues because of his parents’ divorce and a strained relationship with his dad. But as Pierce and Noelle inadvertently help each other to open up their hearts, they also rediscover the importance of family and love. My thoughts: Noelle has been jilted twice. The first time it was four days before the wedding, the second time after 11 months of dating, he decides to marry her sister that he's know for six weeks. Pierce and Noelle are not ready for commitment. They become friends to help each other deal with their emotional issues. The funny thing about not searching for love and finding a great friend, it leads to the best kind of love. I was very glad her relationship with Chase ended. She was sooo much better of without him. I hated the way he spoke down to her. His condescending attitude was annoying and uncalled for. I feel bad for her sister to end up with him. Noelle by far got the better deal. I enjoyed reading the roller coaster of Noelle and Pierce's love life. They kept me company and kept my mind off of the cough that wouldn't let me sleep. Because both are dealing with issues, it made it easier for them to connect and encourage each other. It was humorous to see them dishing out the same advice that they had received a chapter or two ago. This book is written to the LDS market (aka Mormon or members of The Church of Jesus Christ of Latter-Day Saints). While it is a cute and fun book to read, there are many culture specific references that may be confusing for someone not familiar with the LDS lingo. 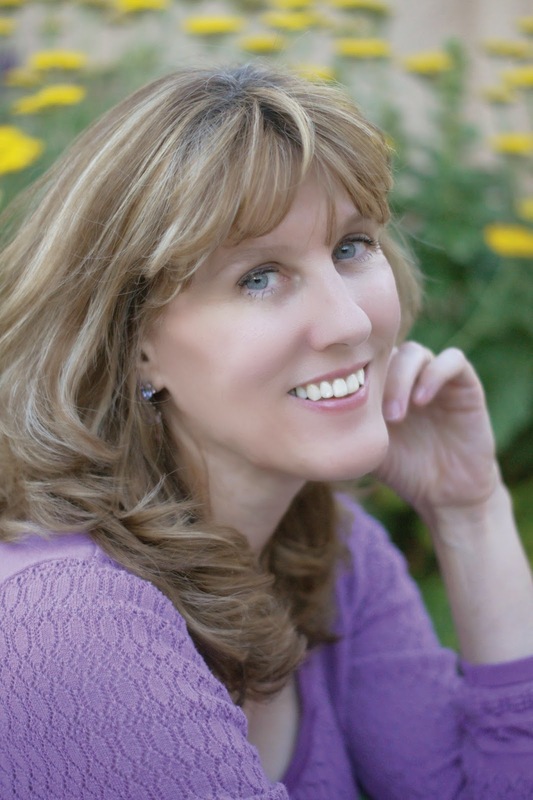 About the Author: Laura Walker grew up in southern Arizona. 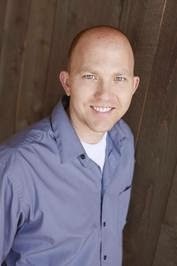 She met her husband, Rob, at Northern Arizona University where she earned her bachelor degree in Elementary Education. She and Rob are raising their six children. Her hobbies include water aerobics and sewing. At the end of the day, Laura loves to curl up with a good book or write one of her own. Pierced by Love is her first published novel. Book Description: In Télesphore, the glowing color of a person’s palm determines their place in society, and touching hands with another mixes the colors permanently. When sixteen-year-old Bruno accidentally kills a royal soldier, he goes from favored to fugitive. Now Bruno's only chance at survival is to become someone else. That means a haircut, a change of wardrobe, and most important, getting rid of his once cherished Blue. Now he’s visiting parts of town he never knew existed, and making friends with people he would've crossed the street to avoid only weeks ago. At the last minute, Bruno’s parents arrange a deal to clear his name and get his life back. All Bruno has to do is abandon those in the Red slums that look to him as a leader and let an innocent Green boy die in his place. My thoughts: Bruno lives in a world where the quality of your life depends upon the color of you fire. He is a blue, as such he can live in the best neighborhood, become a surgeon, and be considered as a first class citizen. On the day of a big rugby game and testing in school, Bruno meets a young boy who changes the color of his fire. He has been painted and through unfortunate events, becomes a fugitive. I always enjoy a book where society has gone terribly wrong and someone realizes it and takes initiative to change things. Bruno becomes a reluctant hero. He didn't set out to be a catalyst for change, but finds himself in the position. While the premise of the plot may sound confusing in the description, it makes sense the way that R.C. Hancock presents it. I found myself captivated in the story from the very beginning. This is a great book for anyone who loves a dystopian story. There is action and a little bit of romance. It looks like there are more books to come. I look forward to reading more from R.C. Hancock. 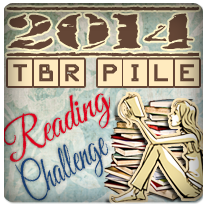 This book is part of a Goodreads giveaway that closes on January 10th! About the Author: RC (Really Cool) Hancock began his writing career with a story about a dead cat which his second grade teacher thought was brilliant. Convincing others of his literary genius has taken longer than expected, but along the road he has acquired a lovely wife, four entertaining ankle-biters (who, thankfully, look more like their mother), and a degree from BYU in Recreational Management & Youth Leadership (which means he’s really good at having fun.) An Uncommon Blue is his first novel. In the unforgiving Mesopotamian desert where Jayden’s tribe lives, betrothal celebrations abound, and tonight it is Jayden’s turn to be honored. But while this union with Horeb, the son of her tribe’s leader, will bring a life of riches and restore her family’s position within the tribe, it will come at the price of Jayden’s heart. Then a shadowy boy from the Southern Lands appears. Handsome and mysterious, Kadesh fills Jayden’s heart with a passion she never knew possible. But with Horeb’s increasingly violent threats haunting Jayden’s every move, she knows she must find a way to escape—or die trying. 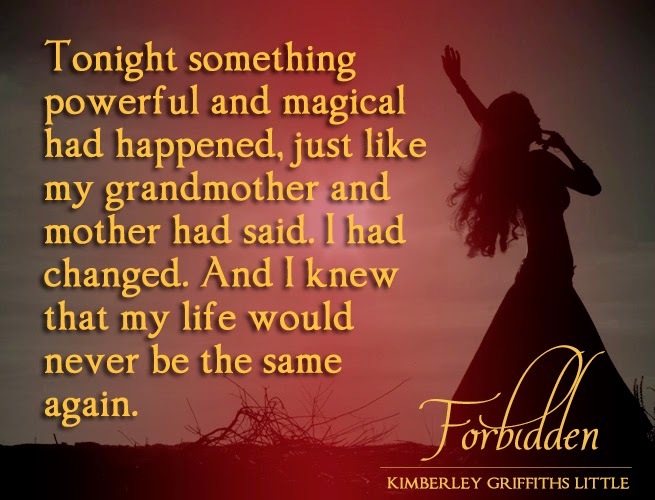 With a forbidden romance blossoming in her heart and her family’s survival on the line, Jayden must embark on a deadly journey to save the ones she loves—and find a true love for herself. Set against the brilliant backdrop of the sprawling desert, the story of Jayden and Kadesh will leave readers absolutely breathless as they defy the odds and risk it all to be together. Anthology Review ~ "Strange and Lovely: Paranormal Tales of Thrills and Romance"
Book Description: Zombies and vampires and ghosts....oh, my! My thoughts: It amazes me how you can take several authors, have them write a short story, put it in one printed edition and have so many different and creative ideas in one book. I can't say that there was a single story that I didn't enjoy reading. Each is unique and caught my interest. Some were on the creepy side, and others had romance. There was at least one story for every kind of paranormal reader. I haven't read many paranormal books lately. I had forgotten how fun they could be to read. I thought individual stories were well written and told the story well for the short story format.